The Dior Manicure Couture Collection is a 2013 Limited Edition set. It comes in a patent zipper case with a Dior logo etched in gold on top. I love that the set is travel-friendly with slots for at least 3 fashion size Dior Vernis Nail Lacquers. If needed, one can always remove those that are inside and add other shades. This is especially convenient for traveling, since it allows you to neatly pack your manicure belongings in one stylish case. Dior Manicure Couture Collection is the ultimate designer nail set. The set includes three classic nail shades, a base coat, a top coat, a nail polish remover, a nail file and a cuticle orange stick. All of these items are beautifully packed in one sleek, black patent zipper case that looks très chic no matter where you keep it, on top of your vanity table, inside your weekender or a suitcase. 0.23 OZ / 7 ML – Dior Haute Color Nail Lacquer in 108 Ivory – It is a very delicate shade of pastel neutral pink. 0.23 OZ / 7 ML – Dior Haute Color Nail Lacquer in 707 Gris Montaigne – I love the classic grey that never goes out of fashion. 0.23 OZ / 7 ML – Dior Haute Color Nail Lacquer in 999 Red Royalty – This is a classic bright red shade that is a must have in every woman’s nail color collection. 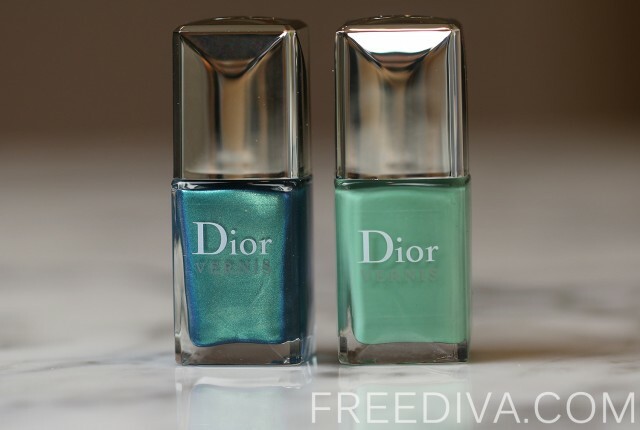 0.23 OZ / 7 ML – Dior Top Coat – Seeds nail drying and adds a glossy shine to the finished nails. 0.23 OZ / 7 ML – Dior Base Coat – It’s a long-lasting nail base that nourishes the nails and protects them from chipping. Dior Nail File – a cute nail file with a Dior logo all over. 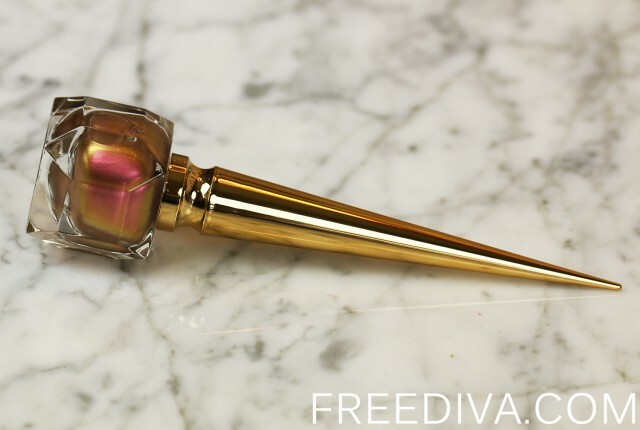 Dior Cuticle Stick – a cuticle stick made of orange wood. 0.33 OZ / 10 ML – Dior Dissolvant Doux – Nail Polish Remover. 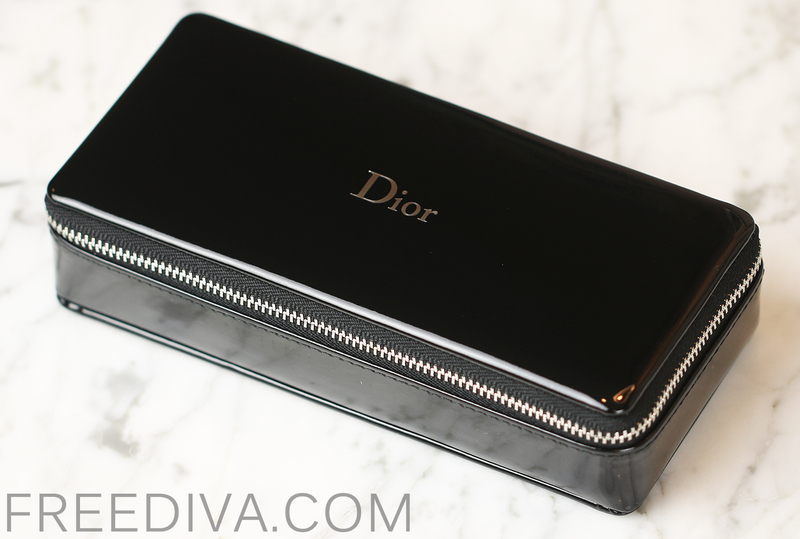 Dior Signature black patent zipper case.